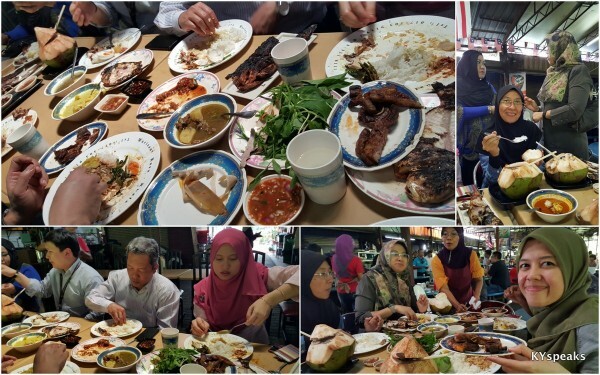 I first learned about the Dato’ Keramat ikan bakar from my Malay colleagues when they tapao some all the way to KLCC for lunch. Fast forward a couple years later, I finally managed to convinced one of my colleagues to follow me there for a quick meal. 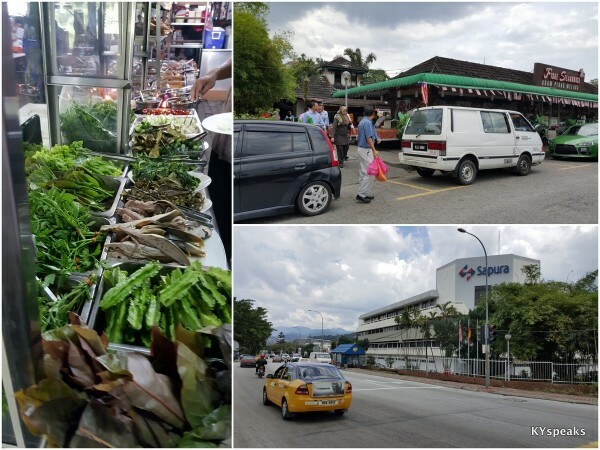 After a bit of searching and asking about at the market, we finally located Mat Teh Ikan Bakar, with the stall situated within the Dato’ Keramat wet market, facing the parking area. 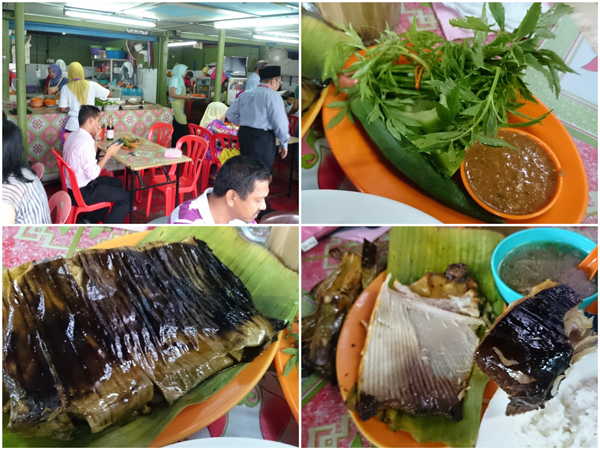 We immediately knew that we were at the right place, the place was packed, and on the grill was at least 30 pieces of grilled fish in the process of cooking, all neatly wrapped in banana leaves for that extra flavor. 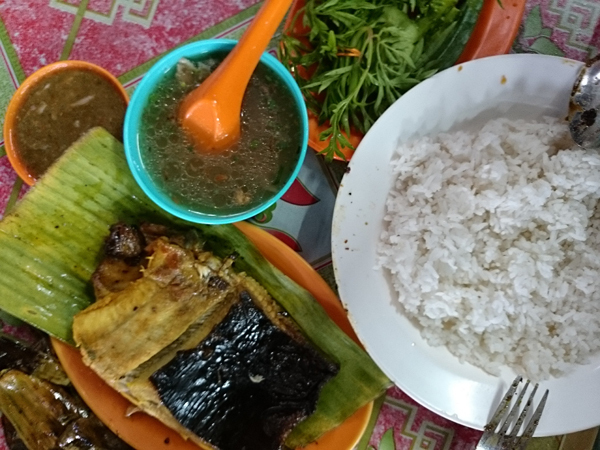 For this trip, I ordered a piece of ikan pari (stringray), which also comes with a generous amount of ulam (Malay style salad) with sambal, soup, and a plate of steamed rice. The fish was thick and huge, it was probably meant for two person, which also explained why it cost something like RM 14-16 (but definitely worth it). The cooking method utilizing banana leaf ensures that it was plenty juicy and flavorful, and with those accompanying sambal, I was more than satisfied. Mat Teh stall also offers some pretty good juices, I had a glass of mango juice which complimented the meal very well. 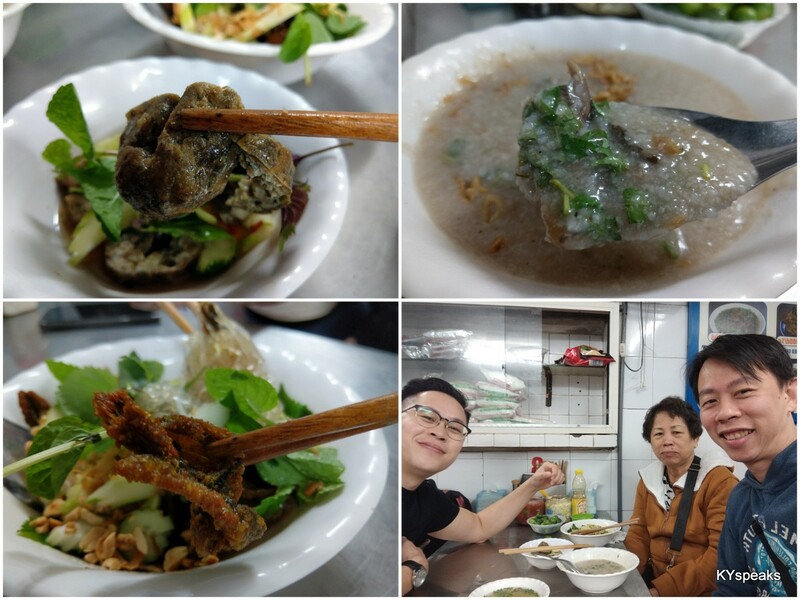 This is definitely a place I want to go again, but this time I’ll make sure to share the fish with someone else, Shabana can’t be just an observer drinking teh ais again. 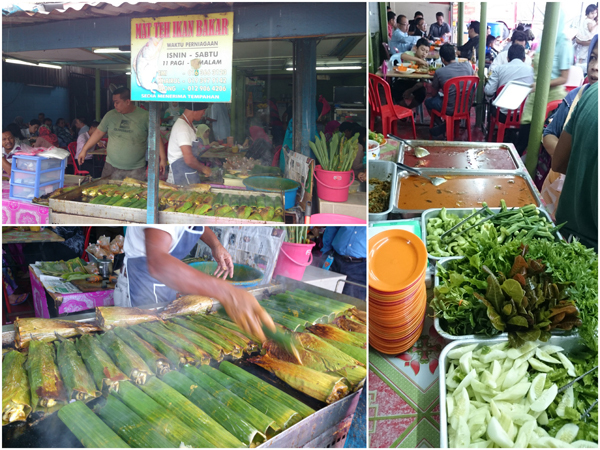 If you’re in town looking for some good ikan bakar, this is one place to check out. 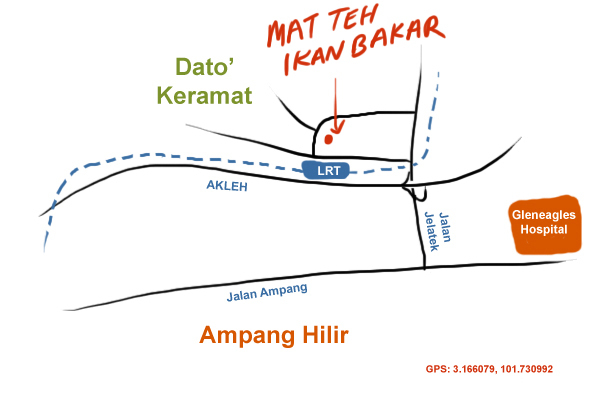 Getting there is as easy as taking the LRT and getting off at Dato’ Keramat station. At workplace, I am a bit of a freelancer when it comes to lunches. Most people have a group of colleagues or friends they always lunch with, but I sort of wander around a little bit, hanging out with different groups of colleagues and friends. Partly to socialize with more, and mainly to appease my appetite of having wide variety of different lunch options since most groups usually to go to the same places repeatedly. 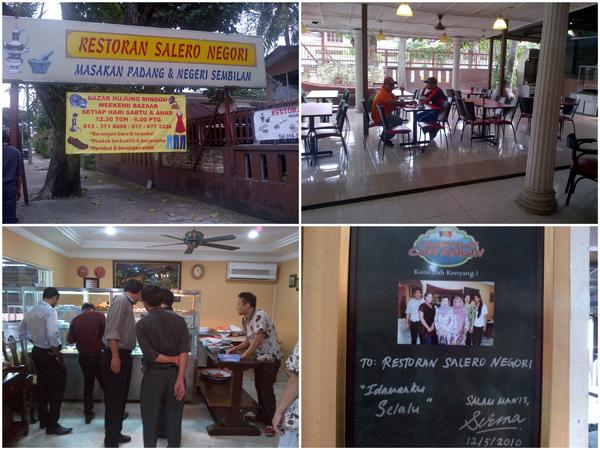 A couple weeks ago I joined a group of Malay colleagues on a bit of a lunch excursion to this place suggested by our friendly Indonesian expat by the name of Pak Alwi to this restaurant located at Dato’ Keramat by the name of Restoran Salero Negori. 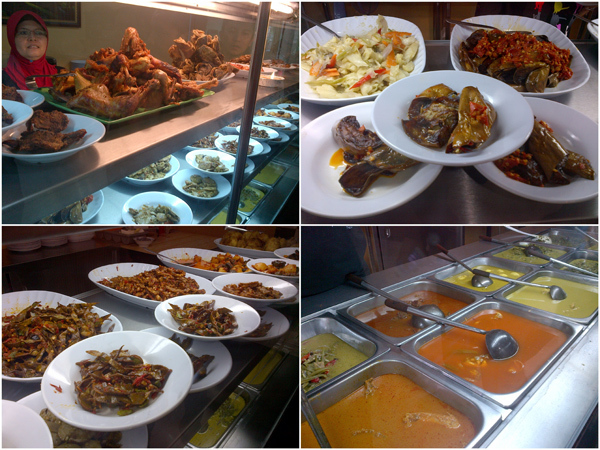 The name is pretty self explanatory – a restaurant that serves Negeri Sembilan delights. 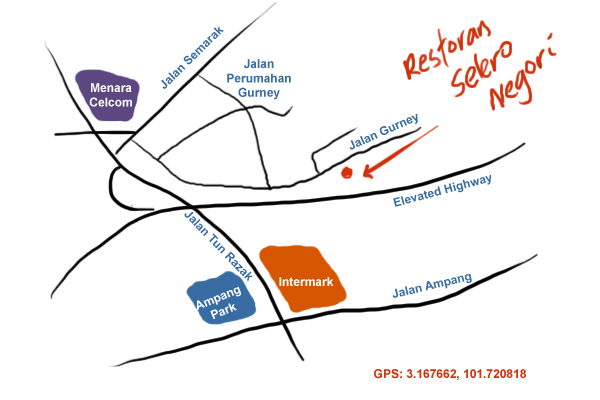 My only previous such experience was to Restoran Rose 911 at Kampung Pandan. 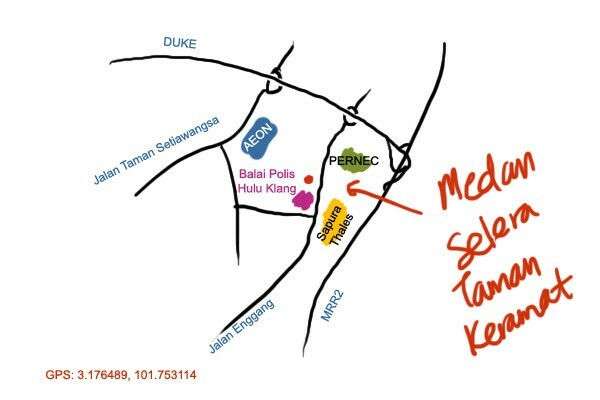 Restoran Salero Negori is located in a converted bungalow house along Jalan Gurney (not to be confused with Persiaran Gurney which is in Penang). 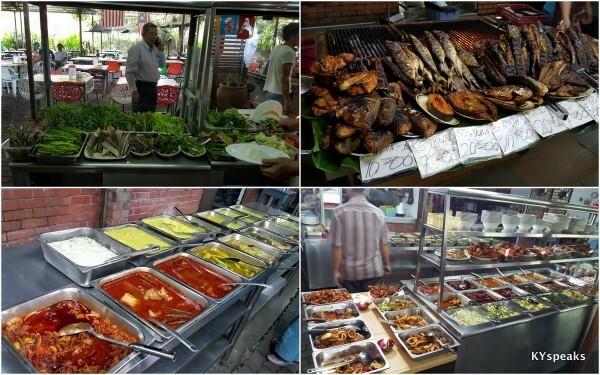 As with many Malay restaurants, the set up is pretty similar to “chap fan” or nasi kandar style. 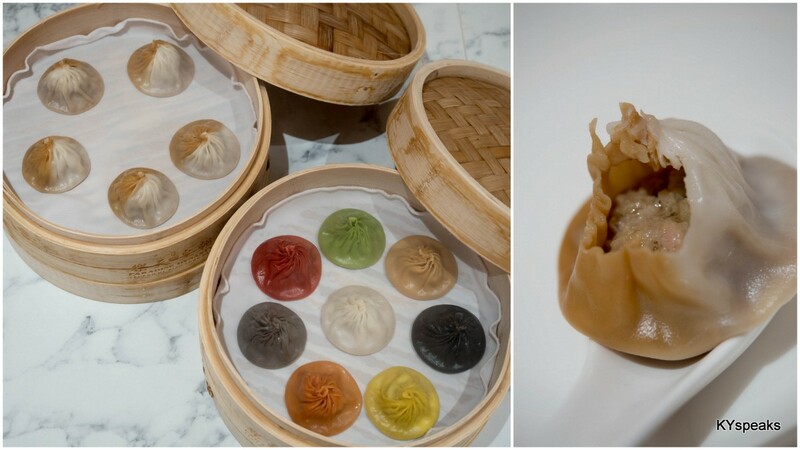 Most food are already prepared, and you just point and pick what you want. The benefit is that you don’t ever need to wait more than 5 minutes before food is served. For lunch, we ordered up qiute a big feast for the six of us. 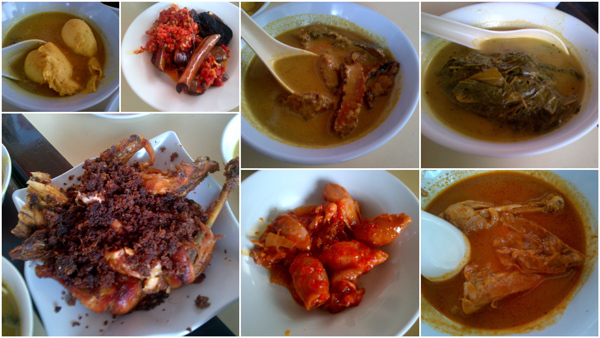 There’s boiled duck egg, smoked beef curry, paku pakis, deep fried chicken with rempah, curry squid, curry chicken, and more. I find the beef pretty interesting, a bit of a smokey taste that goes well with the spicy curry. The rempah from fried chicken was addictive, but my favorite turned out to be the brinjal, covered with sambal and fried to almost crispy texture while still retaining the sweetness. 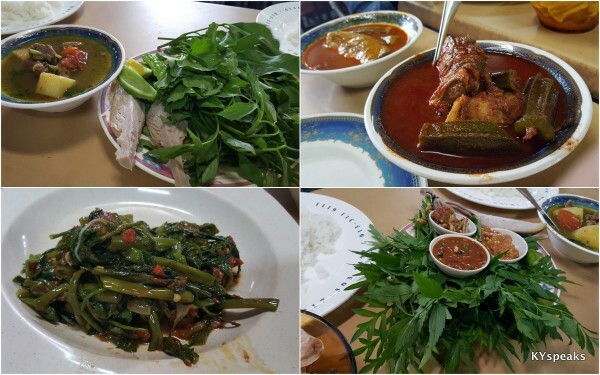 Over all, it was a very good lunch, plenty of kick, and maybe a bit too much lemak, but that’s what Negeri Sembilan food is all about. 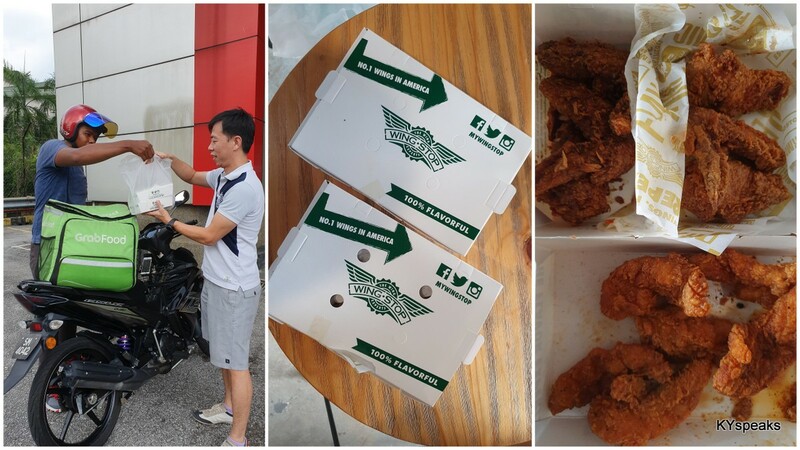 We spent about RM 24-25 per person for this meal including drinks. Cheap? No. Satisfying? Oh Yes! Will go there again.